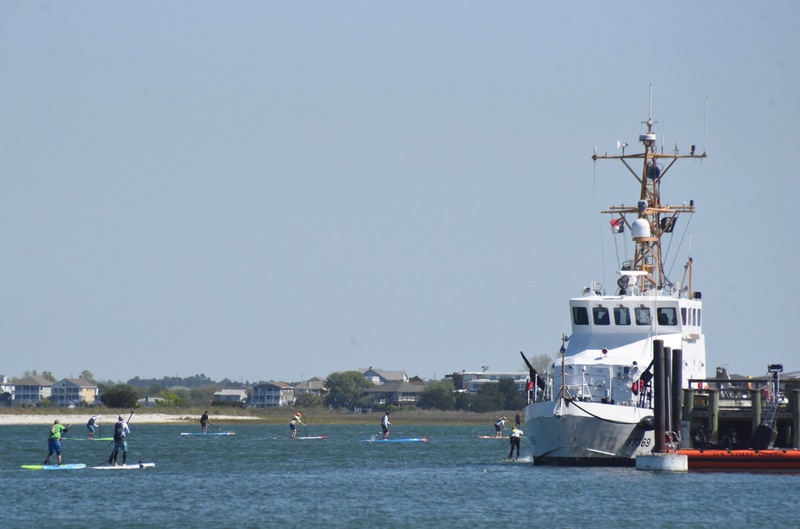 After paddling through the Masonboro Inlet, competitors in the 13-mile Graveyard race make their way past Coast Guard Station Wrightsville Beach during the Saturday, April 21 contesting of the Carolina Cup. Photo by Taylor Brantley. Choppy seas and high winds did not faze paddleboard elites Sonni Hönscheid of Germany or Michael Booth of Australia, crowned champions of the punishing 13-mile Graveyard Race at the Quiksilver Waterman Carolina Cup, held April 18-22, in Wrightsville Beach. 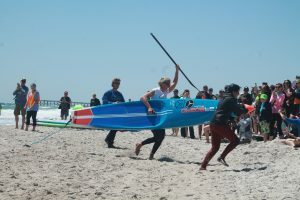 Sonni Hönscheid of Germany carries her board to the finish line after winner her first Graveyard race at the 2018 Carolina Cup. Staff photo by Terry Lane. Two racers with local roots returned to Wrightsville Beach for the annual Carolina Cup, one of the top standup paddleboard races in the world. 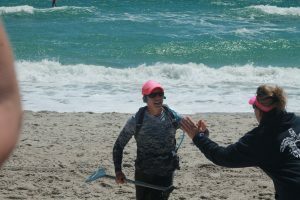 April Zilg, a popular figure in the Wrightsville Beach paddleboard community who last year moved to Santa Barbara, Calif., repeated her fourth-place finish from last year. She was racing in one of the most competitive fields the event has produced, as repeat champion Annabelle Anderson was forced to miss the race due to injury. Former Wrightsville Beach-based paddleboard racer April Zilg finishes 4th at the 2018 Carolina Cup. “The women’s field was large. 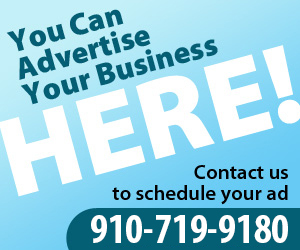 A lot of us thought that now was our chance to win,” she said. Zilg said that despite not improving on her finish, she was overjoyed to return to where she got her paddling start. Meanwhile, Harrison, a young athlete who specializes in outrigger canoe racing and last year moved to Hawaii with his family, got a big cheer from the crowd after improving upon his 40th place finish in 2017. Deisroth described the race as “mentally exhausting” and physically punishing. Zilg finished just behind Fiona Wylde, a racer some thought would win with Anderson’s absence. In addition to monitoring winds and currents, Wylde must also monitor her blood sugar as she balances her athletic endeavors with her diagnosis of Type 1 Diabetes. Wylde first became aware of the condition shortly after her competition in the Carolina Cup three years ago. After running out of steam at the end of the race, eventually falling from second to sixth place, she noticed more issues with fatigue in the following weeks. “I was having the best race of my life, but I was super low, especially during the last mile,” she said. After being diagnosed with diabetes, she continued with her training, winning her next race. Now, she uses a smartwatch and smartphone to monitor her blood sugar while racing, eating sugar during the race if it falls too low. With a background in Oregon’s windy waters and in windsurfing, Wylde said the race provides the challenge that meets her abilities. 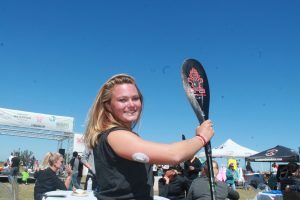 Third-place finisher Fiona Wylde shows the device she wears on her arm to monitor her blood sugar, part of how she competes at elite levels despite battling Type 1 diabetes. Audrey Longtin, owner of the Workshop in Wrightsville Beach, displays the shark tooth medals her business made for the winners. Staff photo by Terry Lane.